We hear about food safety for ourselves on a regular basis. Cook this food to this temperature, throw away that food after a certain period of time and so on. But what about our pet's food? 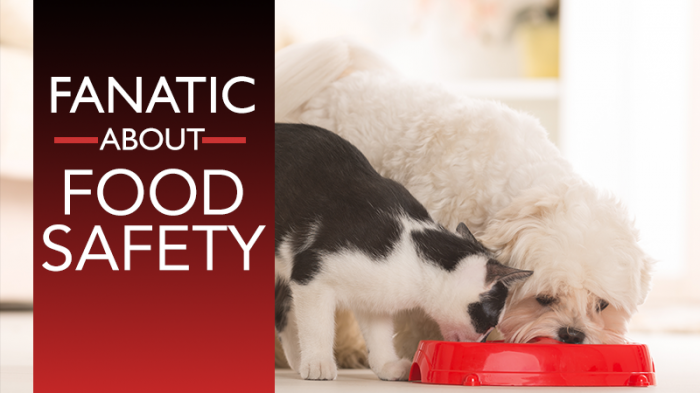 September is National Food Safety Education Month, and McCulloch County Veterinary Hospital has several suggestions to keep in mind as you prepare your furry friend's daily meals. Things to look for in a dry or wet food for your pet include natural preservatives, including Vitamins C and E, or preservative free; human-grade ingredients; and made in the United States. The FDA (Food and Drug Administration) makes sure all ingredients used in pet foods are safe and have an appropriate function in the food. They recommend purchasing products in good condition without signs of damage to the packaging such as dents or tears.